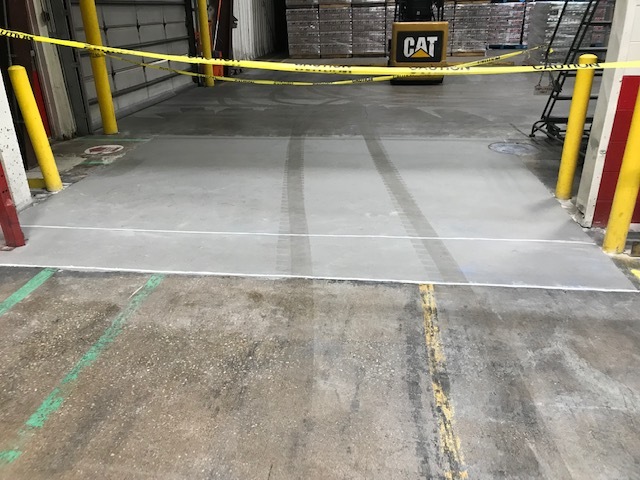 A beverage manufacturer in Indiana needs to fix a section of fractured concrete and delaminated epoxy patching material … Now. 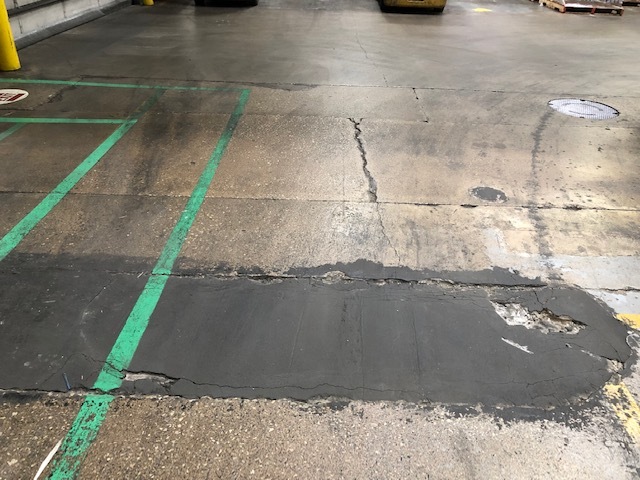 Surface Solutions quickly removes the old concrete and epoxy from the 15 by 12-foot area, pre-filling the void with MasterEmaco T 1061 to a 3-inch depth. Formerly named Rapid Mortar 10-61, the MasterEmaco T 10-61 is a very rapid-setting cement-based mortar designed for repairing horizontal concrete surfaces. The one-component, shrinkage-compensated product has an extended working time that helps speed the installation process. Surface Solutions hand grinds the 10-61 in preparation for BASF Ucrete UD200, troweled to 3/8-inch nominal thickness. Ucrete UD200 is a four-component polyurethane concrete flooring system that creates extremely tough floors with many physical properties that exceed those of typical concrete. This fast fix completed in just one day allows our customer to get back to work in only 24 hours.